As a country, we’re not new to renting; it has been a popular way to live since the start of the 20th Century, but when we look back over the decades we can clearly see a shift in this behavior. In 1918, 77% of households were rented – of which 1% was social housing and the remaining 23% being owner occupiers. In 1919 a Social Housing Policy meant that local authorities were required by law to provide social housing, which saw a shift within the rental sector from private to social renting. Rent subsidies subsequently meant social housing was cheaper than private renting and therefore more desirable, especially among low income earners. Economic recovery after the First World War gave rise to stable employment, enabling more people to own homes. This resulted in the proportion of owner occupiers rising to 32% by 1939. After the Second World War, the need to provide and build new homes was high, especially for households whose homes were destroyed during the conflict. This drove investment in the provision of social housing, and the shift from private to social renting continued. Renting remained a comfortable option until the 1970’s when the sector acquired a down-market image after a string of scandals involving rogue landlords. The growth in home ownership which had started in the 1950s therefore continued, and by 1971 the proportion of owner occupiers was equal to those renting. The increase in home ownership that followed was partly due to the sale of some social housing to the resident households, which was start of what was to be the ‘Right-to-Buy’ policy of 1980. By 1981, 58% of households were subsequently owner occupied. 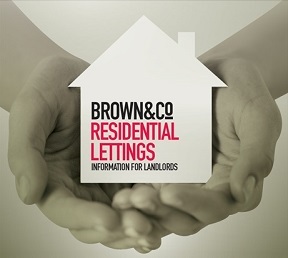 After the Scandal of the 1970’s, tight new legislation followed, and the Association of Residential Letting Agents (ARLA) was formed in 1981 to promote standards in sector. Since the formation of ARLA, the sector’s reputation has been largely restored, and since then renting has become a well-established way of life once more, with the number of people privately renting in the UK almost doubling from 2.5 million a decade ago to 4.8 million today. During the 2011 census, over 23 Million Households were registered in England & Wales, and of that figure, 64% of households were owner occupied. The remaining 35% was split between Social Housing and the Private Rented Sector, and going forward it is expected that another 1.1 million will join the rental sector during the next five years.